Gun control is a hot topic in the United States nowadays. This term that refers to the various policies and laws concerning guns has always triggered a fair number of debates. Some believe that guns should be made easily available since it helps people defend themselves from danger. Others, however, believe quite the opposite – that gun ownership only leads to the rise in violence. This is why gun control essays are fairly common assignments. However, to write a proper one, you need to ensure that you follow the right steps. When you are writing a gun control essay, you need to decide on one thing first: is your essay going to be persuasive, or do you simply want to create an analytical essay? Both of them have different approaches. For example, with an analytical essay, you will have to come up with a general claim on the topic, and then come up with a balanced analysis. Persuasive essays, on the other hand, you will have to take a position (with or against) and support your opinion with well-researched information. No essay should be missing its introduction, because that’s what every reader would be holding onto throughout the lecture. If your introduction was written properly, the reader will know exactly what they should look for in an essay – and what to expect in the text. The introduction generally starts with a fact or statement concerning gun control. It should also contain a thesis statement, one that shares the purpose of the essay. If you are writing an argumentative essay, it will state your position on the issue of gun control. Generally, the introduction should not be any longer than 10% of your paper. The body of the text is where you actually analyze your topic on gun control. All of the information should be presented in a logical sequence so that the reader understands your point. In the body of the essay, every paragraph should consist of a new idea. That idea should be presented, analyzed (or debated), after which you add proof to support your claims. Ideally, you may not want to add too many different ideas concerning gun control into one paragraph; if you feel the need to state something different, you should start a new paragraph – one with the same structure. Ideally, every essay on gun control should have at least three arguments to support your claim. Make sure that each paragraph easily transitions into the next, so that the reader can follow your ideas easier. Generally speaking, the body of an essay should be around 80% of the entire essay. An essay’s conclusion is the chance for you to summarize your ideas that you previously stated in the body of the essay. Most of the time, the conclusion will be a mirror of the conclusion, stating the idea – but in different words. The length of the conclusion will depend on the length of your essay. With the average essay, a conclusion should be around 3-5 sentences long. However, if your essay is longer than two pages, the conclusion should also be longer. Ideally, the conclusion should be 10% of the length of the entire text. If you want to talk about such a sensitive topic, you don’t want to base it on “air”, so to speak. You need to be well-informed – and then write it in a way that your reader can follow and understand your point. When it comes to gun control, it is likely that you won’t be lacking information – since there is a fair amount out there. In fact, there may be too much information for you to digest, which is why you need to be as selective as possible. And considering the information galore, you should take your time to find the right sources; you don’t need something that is irrelevant to your topic. When researching a particular topic, you need to go to the roots – and all of it starts with the Second Amendment, in this case. Before looking for other resources to back up your essay, you have to become familiar with that document. Similarly, you might want to ensure your resources are official. It is acceptable to quote websites as well – but only if the sources are reliable. Therefore, no random blog posts from random bloggers – but official journals that you know for a fact are true. If you want to be taken seriously, you need to bring out reliable facts. Writing a gun control essay is not as difficult as it may seem. All you have to do is state your position about gun control, provide valid reasons on why you believe that – and construct an essay using those arguments. Anyone may have different ideas regarding gun control; what’s important is that you bring proof to support any argument that you have. Thoughts like “I need someone to write my paper” can be put to life with websites such as Trust My Paper, which can help you in this regard. Carrying of firearms openly was either prohibited or regulated strongly by states. However, the past three decades have seen state laws governing the practice change drastically. Some have even gone ahead to weaken the regulations. Although a permit is required for concealed carry in public space, there exists close to no law restricting open carry. Daily conflicts may turn into gruesome scenes with the presence of guns in public life. Federal law does not address the carrying of firearms in public since it only governs the use of its property. Is it not ironical then that toy guns and air guns are restricted and not real/operable firearms? Below are possible ways we believe are useful in preventing open carry and can eventually lead to defeating the vice in the US. If we buy the idea that was used to combat auto accidents in the prevention of open carry, then we stand a chance to defeat its practice. Legislators can pass laws that make acquiring a firearm rigorous and effective. In the US only seven states require a permit to have one carry a gun openly in public, what do the others do? It is easier to acquire a gun in America-this is a point of strength which if well used can bear fruits and have injuries and deaths resulting from firearms reduce. Increase the eligible age to have a gun from 18 years to 21 years. To the age limit add that one should have a license showing they have training on the use of firearms. This would help a lot in reducing the number of guns with civilians. Nowadays almost every gadget that is private has some lock requiring biometric identification. This could be applied to guns too. Requiring a permit for one to use a weapon is not enough. Most deaths from gun shooting are unintentional. Requiring biometric identification will surely not reduce the number of mass shootings but will reduce suicides and homicides. Also, biometric identification will lead to authorities easily finding whose gun was used to do what. Laws are respected and in particular when they address a significant problem, in a civilized society. A bill that requires regular checking of all those who sell private guns locally would help curb the menace of open carry. It would also assist in understanding the age interested more in possessing firearms. Checking will also mean that the sellers will have an updated list of those who have bought guns from their stores. This will reduce the number of family-related deaths resulting from firearms. Gun restraining orders would solve the issue. This regulation would limit the number of guns a dealer sells in a day, a week, one month or even a year. Another interesting side of this order is fixing a limit on the number of gun violence whose surpassing will lead to all guns being confiscated by the state. Gun manufacturers, as well as sellers, are legally protected from crimes leveled against them by civilians who are in most cases victims of gun violence. Increased gun crimes, suicides, and homicides mean that they have not put into place measures to reduce misuse of guns. If we held them liable for increased mass shooting and various crimes involving their products, they would have the incentive to make use guns safer and restrict the number of weapons out there in shaky hands. According to open carry advocates, criminals rarely carry firearms openly. It is true, but again it is the innocent civilians who suffer. Most of the citizens who practice open carry do it to protect themselves from invasions. However, people in congested public places feel insecure with a loaded firearm within the vicinity. The history that Americans have with firearms is deep. Some take pride while others fear the deadly weapon. Forty percent of Americans have either used a gun or live in a household with a gun(s). According to the Pew Research Center research report, 2017, at least two-thirds of American adults grew in a home with a firearm while 7%, inclusive of 55% who have not owned a gun personally, I have ever fired a gun at some point. Gun use is complex in America such that it has led to widespread killings. We look at the attacks by guns dating back as far as 1856 which has involved primary schools in the US. In Florence Alabama, a headmaster killed a student by strangulation. The reason was that the boy had killed the head teacher’s pet, Sparrow. The slain boy’s father went to school and shot dead the headmaster. In Ashland County, Ohio, at Pyfer’s School House, George Longfelt the school teacher shot Alfred Desem, a student and fled. In Watertown, New York, a student at Potsdam Normal School shot himself in the head when committing suicide. 70-year-old James Foster fired a shotgun at a group of students in the playground of St Mary’s Parochial School, Newburgh New York. Several students sustained minor injuries. San Francisco, California; Dorothy Malakanoff, was shot and killed by 49-year-old Demetri Tereaschiko, as she arrived at her school. Downey, California; Dr. Blythe shot and killed his wife Eleanor, as well as his son, 8-year-old Robert, at Gallatin grammar school before committing suicide. Port Chester, New York; Harry Wyman 13-year-old shot himself dead at Harvey’s boy’s preparatory school. New York City; David Brooks, 15-year-old, was fatally shot as fellow pupils looked on. Greenwood, South Carolina; in Oakland Elementary School’s cafeteria, 19-year-old James William Jr., shot to death Shequilla Bradley and wounded eight other children with a gun. He was attacked by Kat Finkbeiner, a P.E teacher while reloading the pistol in the girls’ restroom. James shot Kat in hand and mouth. He finally entered the 3rd-grade classroom and wounded six more pupils. In Cleveland School Massacre, five school children were killed while 29 were injured by a single gunman firing over 100 bullets into the schoolyard using an AK-47. One Mr. Steven Allen Abrams purposefully drove to the playground of South Coast Early Childhood Learning Center. He killed two children, injuring four other children and an adult. Allen later stated that he thought the deaths of the children would silence the voices that he thought the US government was beaming into his brain. Bidwell, Ohio; Frank Shoemaker shot dead, 52-year-old Linda Shoemaker, his estranged wife. Frank killed her in the parking lot of Bidwell Porter Elementary School where she was a cook. He then returned home and committed suicide. Lancaster County, Pennsylvania; Charles Carl Roberts, a milk-tank truck driver, took ten girls hostages from Amish School and eventually shot them. He killed five (aged 7-13), before killing himself. Carlsbad, California; 41-year-old Brendan Liam O’Rourke, holding jack-o-lantern, stormed the campus at Kelly Elementary School, he shot and grazed the shoulders of two students, one 6-year-old and the other 7-year-old. The list was not exhausted since we have covered only the notable incidents that either ended in deaths or several victims wounded. By joining hands, let’s say no to violence with guns. This is possible if we all support the controlled use of firearms! Owning a gun in America has become a primary need, with people going as far as collecting guns like antiques. This trend can be attributed to two things, the level of crimes in the communities mainly African American’s, and a status of being “cool”. It’s astounding to know that America has the highest number of guns per capita than any other country in the world. The other disturbing fact is that young adults in their twenties are the most affected victims of gun violence. Any country banks on their youth for continuity, innovation and heirs of the current generation. With this trend of young people dying violently and the continued exposure which incubates violence, there is an urgent need to intervene. The lobbyists who are powerful and well-funded have been successfully lobbying against gun control laws. It’s absurd, selfish and insensitive for anyone sane not to see what the guns have been doing and continuing to do in our societies. They argue that people kill not guns. At some point it’s true, but the in some states buying a gun is easy as buying milk in a retail shop. Strict background checks should be a must to anyone aspiring purchase a gun. Strict gun control has shown a significant decrease in homicides in many countries with data to support. Most of the argument is that when one has a gun, they are less likely to be victims or robbery or any other crime. Well, this has not been supported by any research data, but the prevalence of gun-related crimes with a huge percentage is enough evidence to call for a revision of the current laws about gun ownership. There are 2 opposite views on private gun ownership should be restricted. But we think that guns should be banned. The government should focus on equipping the police force adequately to protect the citizens and prohibit personal gun ownership unless it’s a special case or necessity. As much as there have been shootings around the world with a focus on two places Canada and United States, everyone is under gunpoint. The killings cannot be classified as always planned; the killer has in a single day not decided to use a factor to kill. He or she is hell-bent on satisfying the need to kill without reason or a single person could have hurt strong motive, him or her, but the pain will be reflected in their sole choosing. Following the events of less than a decade, everyone irrespective of age, gender or location is under gunpoint. Why am I saying this? At the beginning of this year, February to be precise there was a school shooting in the State of Florida, US. It is termed one of the deadliest in the history of America. The killer, Nikolas Cruz, 17 years of age on a given on day walked into a former school, Marjory Stoneman Douglas High School and killed seventeen people hurting another two dozen. Was there motive, nobody can tell, simple expulsion from school, the next thing you know innocent people are dying. A case similar was that of Sandy Hook Elementary in 2012 whereby a 20-year-old, Adam Lanza killed 26 before committing suicide. Surprisingly, this is a perpetrator of 20 years old in a school of first graders, no connection at all. With a bullet vest to an elementary school, I cannot think of a reason; he shot dead 20 first-graders and six members of staff before shooting himself. Besides, committing such an act, he kills the mother. Who knows, still I cannot see any connection. In 2017, November, Sutherland Springs, Texas, a gunman walks into the First Baptist Church killing about 26. On this day, members of various families are lost just through a simple walk in. Who could have seen this coming? I cannot tell, but all clear is that these were all random people praising their Lord. This shooting tops the list as one of the deadliest mass shootings in the history of Texas and the US in the last less than half a decade. In Canada, it is not different, the latest of them all being the Faisal Hussein shooting. Faisal walks into a busy street in Toronto, and at random shoots and kills two, injuring 13. In this case, the gunman does not slip away from the police; he is tracked to an alley and later found dead hundred meters away. Four years ago, 2014, a 24-year-old gun down five police officers of the Royal Canadian Mounted Police in Moncton, Canada. All this is done on the street without motive. The suspect ends up killing three of the police officers leaving two of the police officers injured. Still in 2014 in Edmonton Alberta, a 53-year-old walks into a homestead and kills seven. He then moves to another house and kills one with a reason that the victim was raising a child, not of their own. Later the suspect named, Phu Lam commits suicide. In Quebec City, 2017 January a gunman walks into a mosque and kills 6 leaving 18 maimed. All without any connection could be psychological or crime of passion. No one can tell why an individual can walk into a place of worship and commit such heinous acts. Cumulatively, the above shows that for some reason certain individuals in possession of arms acquired legally and illegally have ended up killing innocent persons. They did not base their killings on any ideologies, just random murder, no location, and no age and gender considerations. Everyone is under gunpoint. Gun control conversations in the US are always hindered by the Second Amendment that the first independent America Congress mad to the constitution. Those who support ownership of guns argue that the first American government wanted the US citizens to have the right to bearing arms. But why did the founding fathers amend the constitution? In 1791 America was young having won the revolutionary war by defeating the British army. No police force was in place, and thus Native Americans would crush now and then. Because of the war colonists had with the British Army, guns were a huge part of everyday life. They would use the guns for hunting to get food and eventually formed a militia that helped keep peace in the newly found country. Weapons that existed back then are not comparable in anyway with modern ones. Below is a discussion on why buying and carrying a gun in 1791 is justified and today is not. America started out in 1791, and the whole country’s population would not even match a single state’s people today. Revolutionary war had just ended and threats of danger were looming. Native Americans and settlers would attack each other much often. Lack of real police force to contain the attacks meant citizens had to take laws into their hands. Times have changed. The police force is in place today. In case of an attack dial 911 and in no time, police security is at your doorstep. We do not want such rights to own guns as it used to be newly found America. Today, the federal government has invested a lot in external defense and states have got us covered internally. The weapons used in revolutionary war were very feeble. They had a one round magazine capacity and could only fire three effective rounds a minute in the hands of the most skilled shooter. Accuracy range was 50 meters. Today’s weapons are much more sophisticated. Take a simple AR-15 which can have 30 rounds magazine capacity and can fire estimated 45 rounds a minute. Accuracy range is almost 550 meters. This shows that allowing guns in today’s modern America is 100% dangerous compared to 1791! The process of using a gun today is not complicated. Conflict arises and within no time, ten or more people have lost lives. It is not safe to have citizens own guns without proper regulations. The lead was in short supply during the revolutionary war; some musket balls were thus made using a combination of lead and tin or lead and pewter. The balls were heavy, and they could not resist gravity. They affected accuracy even at a close range since they were pulled down shortly after being fired. Lead supply is sufficient today. Accuracy is guaranteed since the bullets have been devised to resist gravity. A shot taken even by the most unskilled shooter may miss the target by very few millimeters. Guns in 1791 were much safer even when in the hands of citizens. They were less harmless and mostly used for hunting. Modern-day firearms are much sophisticated, and their hurting capacity is bigger compared to Muskets. People back then were not violent. Let us take a closer in modern America and make it better by restricting buying and carrying of the dangerous weapons. “It makes me think of … people, managers, businessmen who call themselves Christian and they manufacture weapons. That leads to a bit of distrust, doesn’t it?” he said to applause. 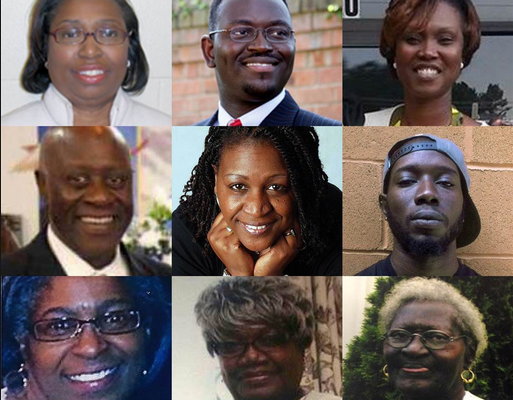 Washington, DC – Last night an attack on humanity, an act of terrorism and a fatal shooting rooted in racism happened in Charleston, South Carolina when a man open fired on a bible study at Emanuel African Methodist Episcopal. Congratulations to UCSB and UCI students who are demanding the UC divest its endowment from the gun industry.